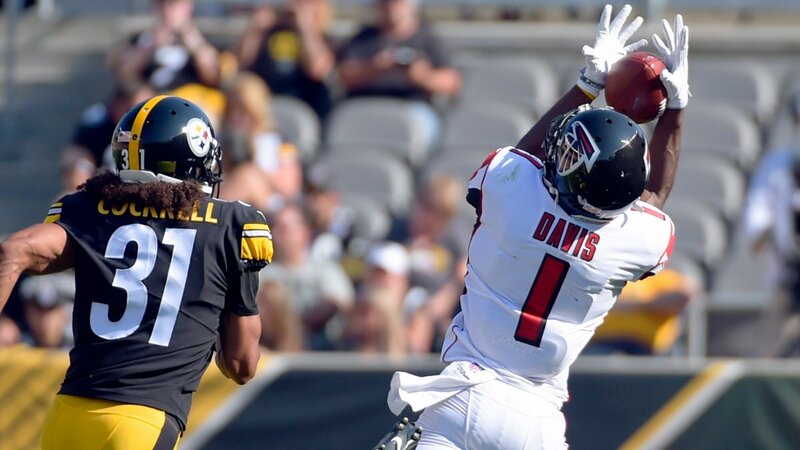 Two teams that fans are eager to see this season are the Pittsburgh Steelers and Atlanta Falcons. Atlanta lost its offensive coordinator, but otherwise, the team is pretty much intact from the one that made it to the Super Bowl last season. The Steelers don’t have their superstar running back in camp yet, but the additions to the defense have looked impressive, to say the least. We will have to wait a few more weeks to see how these teams will really look this season, but we got a chance to see how they are progressing when the two met in preseason action Sunday afternoon. A lot of things looked good for both teams. But there were also things that didn’t look so good. Steve Sarkisian appears to be fitting in quite well in Atlanta. So far, so good. Between Matt Schaub, Matt Simms, and Matt Ryan, the Falcons quarterbacks went 16-26 for 211 yards in just the first half. They converted five of their first six third-downs, scored on their first three drives (13 points), and had ten receivers make at least one catch—just in the first half! Matt Ryan (4-6 for 57 yards) looked like fantastic guiding the team 91-yards downfield on a ten-play drive on Atlanta’s first possession of the game. No surprise there. Atlanta’s first round pick, Takk McKinley, finally played. He didn’t play much, of course, but the big man’s speed was certainly on display. Speaking of speed, Falcons rookie wide receiver Reggie Davis—OMG! His 44-yard reception was a thing of beauty (three catches for 74 yards on the day). The man has some serious wheels! J. Watt didn’t blow anyone up like he did last week, but he was going up against a much better offensive lineman (Jake Mathews). But his relentless motor was still evident and he did record four tackles in limited action. While Watt was more contained, linebacker Anthony Chickillo was not. The third-year linebacker recorded a pair of sacks to go along with five tackles. Oh—and the man was laying some hits on people too! 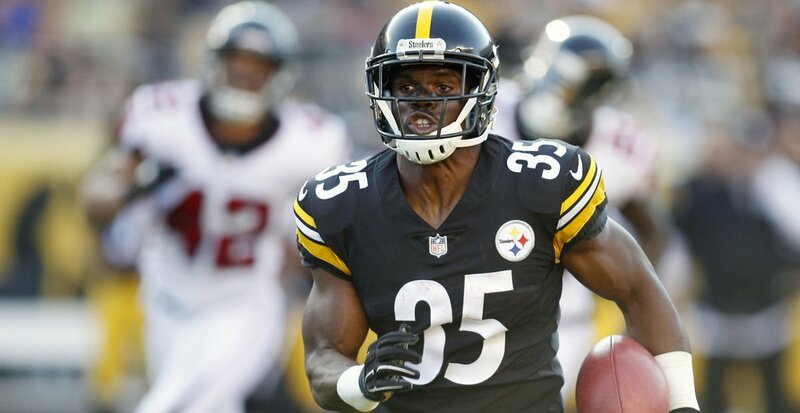 Steelers running back Trey Williams has two carries for 12 yards so far during his career. He did not record a single carry against the Falcons. But his 64-yard punt return for a touchdown will give Mike Tomlin a reason to keep him on the roster. Pittsburgh’s special teams coach is going to get an ‘Attaboy.’ Not only did his unit return a punt for a touchdown, but it blocked another. For those concerned about the score, the Steelers won, 17-13. The story of the day, of course, is former Pitt running back James Conner. The cancer survivor started out kind of slow. But after the Falcons started taking their better players out, he started finding some space. He ended the day with 98 yards on 20 carries. However, if he wants to earn time on Sundays, he must learn how to catch the ball. He managed to haul in just one of the four passes thrown his way. But he should have caught all four of them! The Falcons will have another tough opponent in Week Three of the preseason when the Arizona Cardinals come to town (8/26, kickoff at 7 PM ET). Pittsburgh will have an easier time with a home game against the Indianapolis Colts (8/26, kickoff at 7:30 PM ET).